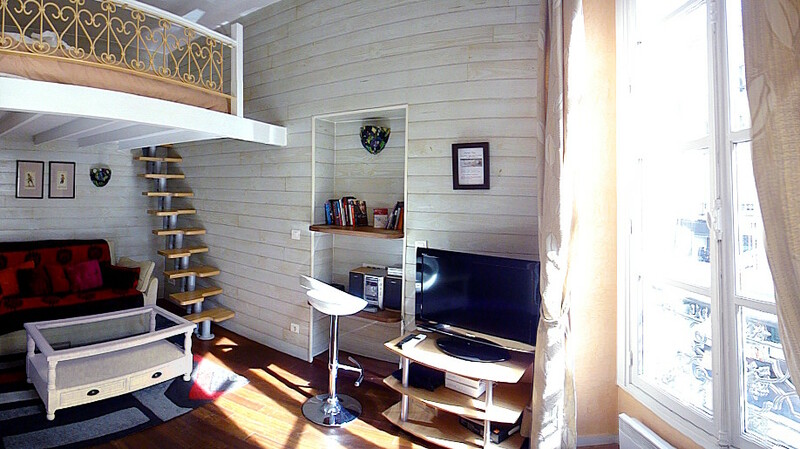 Endless hours of research led us to Parisbestlodge and Thierry - and it really paid off. Thierry is incredible. the flat (Places des Vosges) was lovely. Thierry's seemingly instant responses to our e-mails was helpful. Once in Paris, he was also there to help - be it finding a doctor for my daughter who became ill or popping in when the lightbulb of the reading lamp needed replacing. 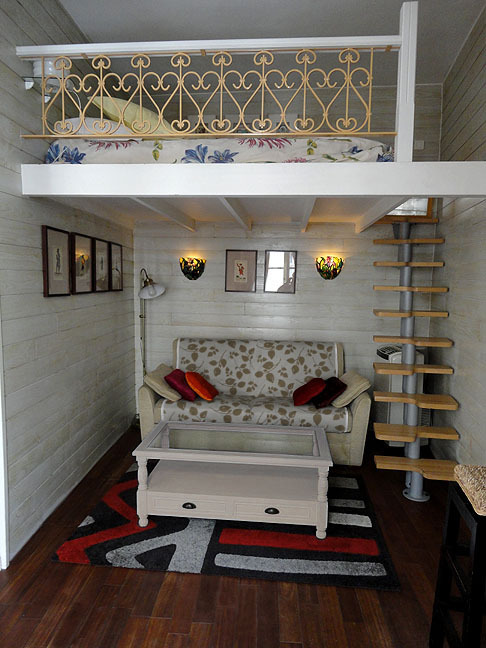 The flat was beautifully designed - my daughter selected it for the mezzanine loft. I ended up on the sofa bed, which was both comfortable to sleep on and fine for my back. The flat is on a relatively busy street, rue de Turenne - which I'd wanted. We had a great view of the occasional street theater at the cafe across the street (down a bit). The fan on the large stand alone a/c unit provided both air circulation and, at night, masked any vehicular noise. Thank you, Thierry, for being such a wonderful host. Fantastic experience-start to finish. We stayed at the Vosges apartment. It was perfect for my husband and I. Thierry was so kind to work with and extremely helpful with directions to the apartment from the airport. He met us when we got there and made sure that we had his cell number in case we needed anything, saying, " call me first if you need anything, you have a friend in Paris." 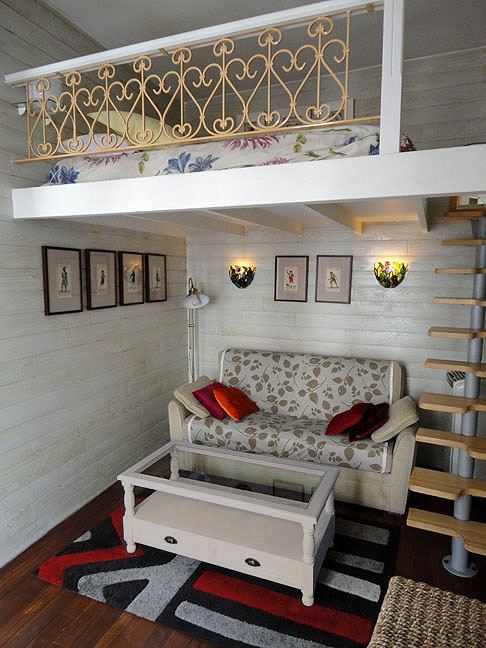 The apartment was so charming and the location was fantastic. It was impeccably clean. The convenience of the area was also a plus, we were out of the major tourist zone but still had access to markets, bakeries, and any other kind of shop you might like to visit. It was also centrally located within Paris so that we easily walked to all of the major tourist destinations. 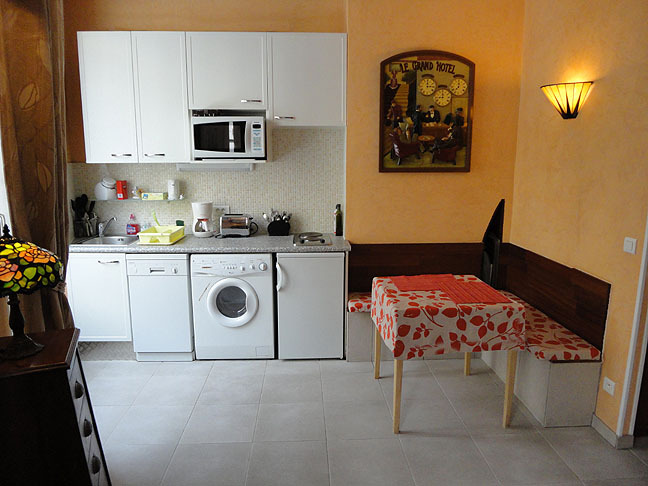 After eating at restaurants for many days, we were pleased to have a working kitchen available in the apartment. We ate baguettes, cheese, fruit, wine and desserts! We were also able to make many lovely pasta dishes (the fresh markets were two doors down from the apartment). 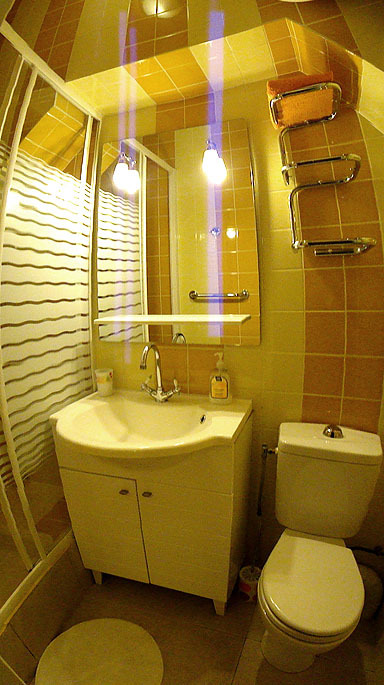 It was very convenient to have a washer and dryer in the unit as well. 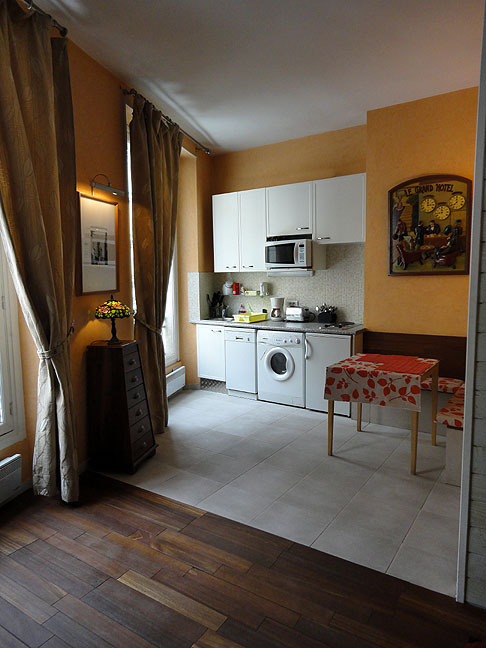 This was the perfect apartment for us and next time we return to Paris we will return to the Vosges Apartment. 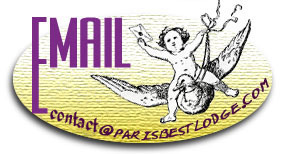 I would recommend Parisbestlodge to anyone! 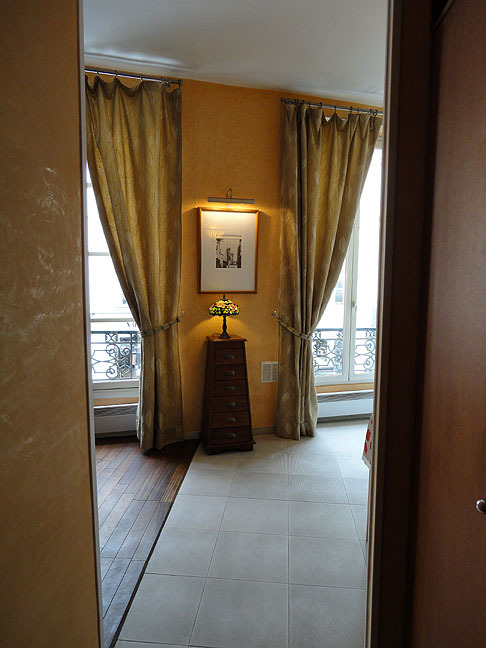 We stayed at 33 rue de Turenne and loved it. 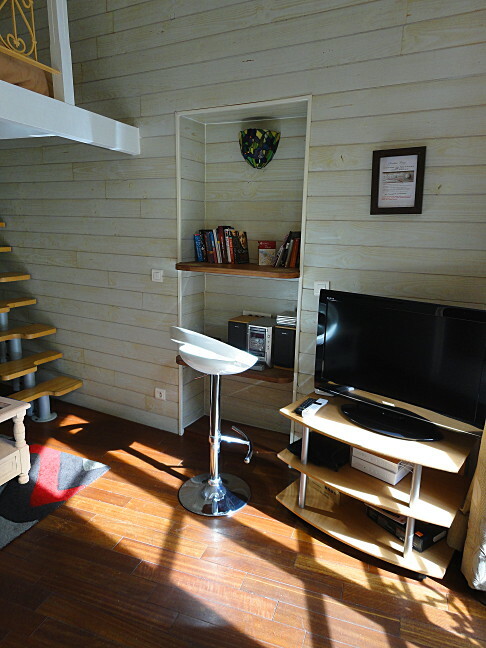 Thierry thought of everything - the apartment was really lovely, convenient, and perfect for our needs. We enjoyed the location close to the Place des Vosges and look forward to our next visit in one of Thierry's beautiful apartments! My brother and I stayed in the Vosges apartment. 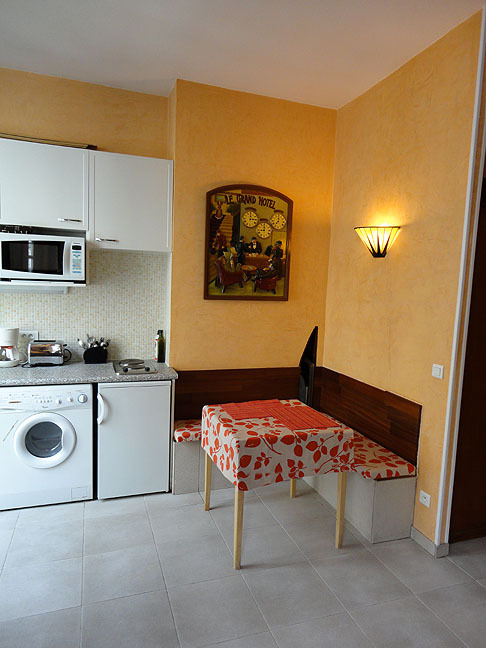 The apartment is exactly as in the photos, the location is excellent with loads of shops; restaurants and cafes nearby. The booking process is simple and secure and on arrival instructions are easy to follow. Thierry explains everything in the apartment and is happy to help in any way. 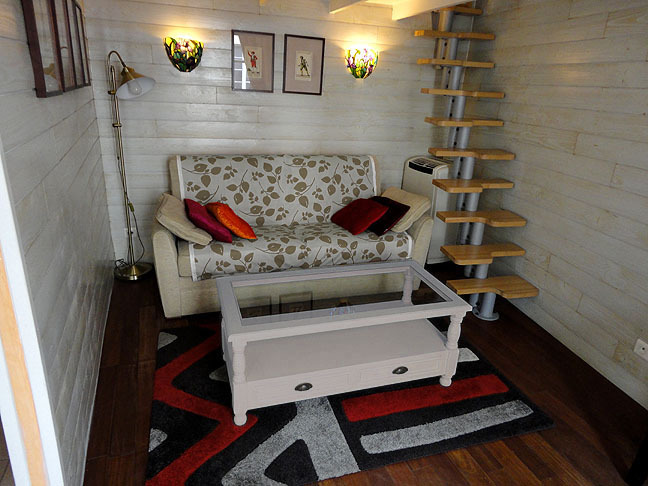 The apartment was perfect for our visit, cost effective and in a great location. Thanks Thierry for a wonderful 'home' in Paris! 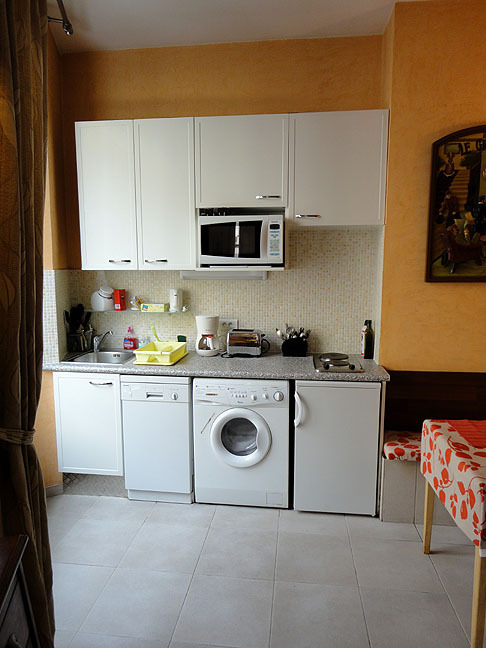 We couldn't have asked for more, you supplied all we needed for cleaning our clothes and ourselves plus the dishes! The position of Apartment Place des Vosges was brilliant - 76 female steps to the Boulanger and only 40 to the delicatessen, outside the door for No 96 bus; about 150 steps for No.29 (great for Opera Garnier) and about 200 steps for No.69 bus. The apartment is exactly as shown on the website. Thank you again from my sister Helen and myself. Ellen and I are leaving at approximately 9.15am tomorrow morning to go by metro to CDG. I would like to say thankyou very much for a wonderful stay at Place Des Vosges. We have both enjoyed every minute of our stay in Paris. It has been made even better as we have had our wonderful little house to come back to each evening after our adventures. We saw all the museums and galleries we had chosen, spent a day at Disneyland, and also went to the Moulin Rouge, and did some shopping!! 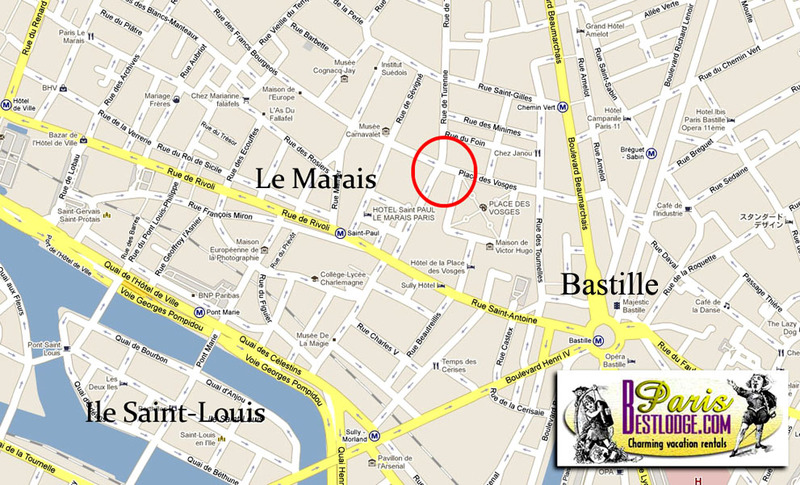 We walked many miles all over Paris, but our favourite area is Le Marais! We will be back again in the future. Comments: My wife and I had a wonderful week in Paris, staying in the appartment near Place des Vosges on Rue Turenne. The place was bright (just as shown on the website pics), quiet (you'll always have the typical street traffic), no noise from neighbors, toasty warm in January. The bus stop is at the apartment door! 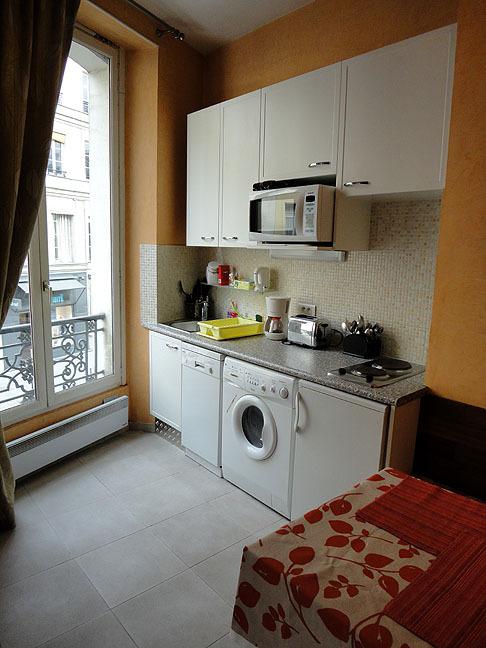 Most convenient...direct to Notre Dame etc in minutes. Metro just 2 blocks or so away. The Marais is a great place to spend an extended stay in Paris. Wonderful choices for restaurants nearby, great variety and very economical to the most dear. Interesting shopping and streets. Convenient to transportation. The apartment had a wonderfully comfortable bed in the loft, nice linens and the computer and high-speed internet made it simple to investigate bus lines, museum info, and restaurants. 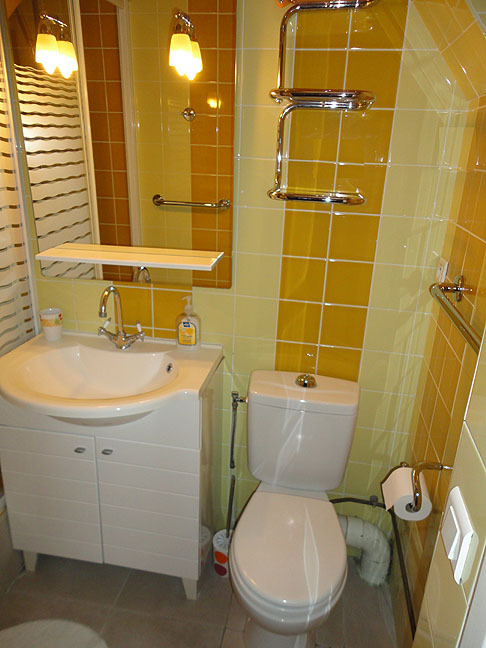 Roomy bathroom, shower only. Thierry took great care of us and gave us great advise on the area. Great bakery, patesserie 100 steps away (open at 7 am), so we saved $'s on breakfast, had great pastry and concentrated on the mid-day meal. Place des Vosges is a wonderful place to sit, picnick (though not everyday in January) and watch the flow of people. It's 1/2 block away. We picked our apartment from the net based on Thierry's web-site info (which was honest and representative), out of the blue, but were very happy and hope to return one day. Comments: Hi Thierry, I meant to write sooner to tell you how much I appreciated all your kindness and your gracious hospitality during my visit to Paris in March with my friend Kevin Day and my sister Denise. The Place des Vosges apartment was so fantastique! We all enjoyed our time so very much and wanted to thank you again for taking such good care of us, you made my visit so very memorable, and I will be back again some day to see you again. Au revoir! In the past, I had one of the most amazing job in the world, travelling and reviewing some of the best hotels in Asia, in particular those in Bali and Jakarta, when I was with www.asiahotels.com Though, Mr Thierry's apartments are not classified under hotel or resort, I would like to give his Place des Vosges apartment a score of 9.5/10 (well, sorry, Thierry, nobody is perfect!) The place is large and more than comfortable enough for a single traveller like me, in fact, it can accomodate up to 4 guests but will be too crowded. The ameneties in the apartment are perfect - I didn't feel I miss anything. 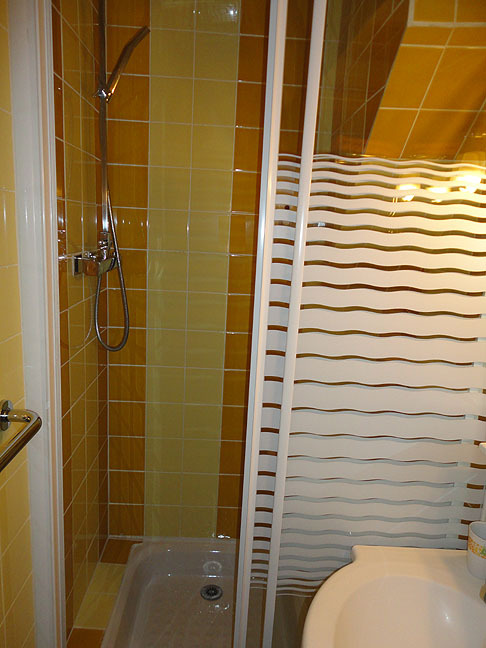 And the massage shower was really a luxury after a very long walk, though I wish to have a bath tub. The mattress, pillows and the comforter are much better than those I found in 4, even 5 star hotels in Paris. Truly one luxury holiday for me. The free high-speed internet connection was really helpful as I was working too when in Paris, enable me not to lose contact with my suppliers and friends back in Asia - and saving me money fr calling them. I have one comment though, I wish Mr Thierry provides more DVD with English subtitles coz almost everything on local and cable TV channels are in French. 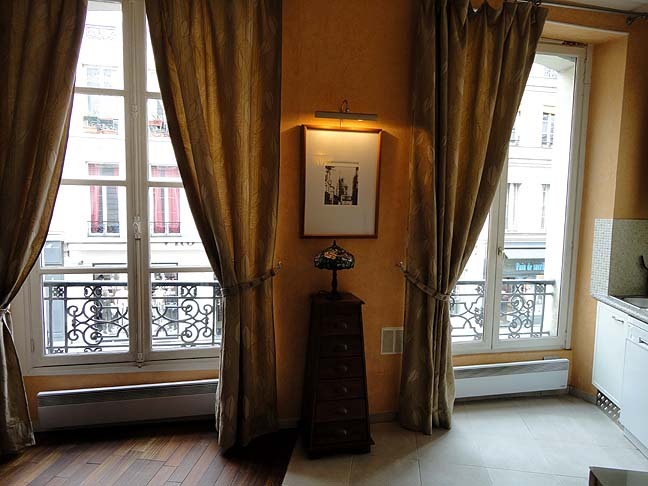 The location was excellent, and I can just walk to Notre Dame, Bastille, and I even walked all the way to Tour Eiffel (well, I couldn't get a taxi, and it was a very, very, very long walk, but I love walking in Paris). There are lots of high-end and low-end restaurants around, plus many boutiques to cater every budget. Those money I saved on long distance phone calls, there, I spent in those boutiques. But the best part of my stay at this apartment in Place des Vosges was Mr Thierry himself. He is such a kind man, the kindest I have ever met in Paris so far. He is very sympathetic, full of life and kindness in him, and very, patient and understanding. That, for me, who has done my fair share of travelling and reviewing hotels, is extremely priceless. He made me feel so at home and welcome. And for this, I know that I am now had a new friend in Paris. 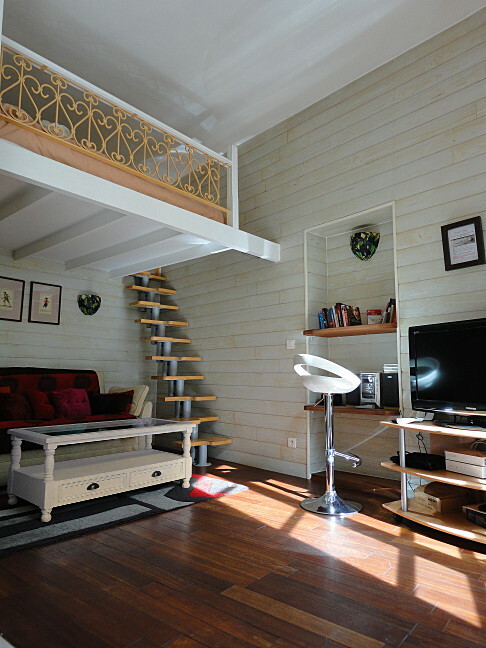 And will always stay in one of his lovely apartment for my yearly trip to Paris. Thank you, Thierry, for making my holiday in Paris the most memorable one. See you very soon.